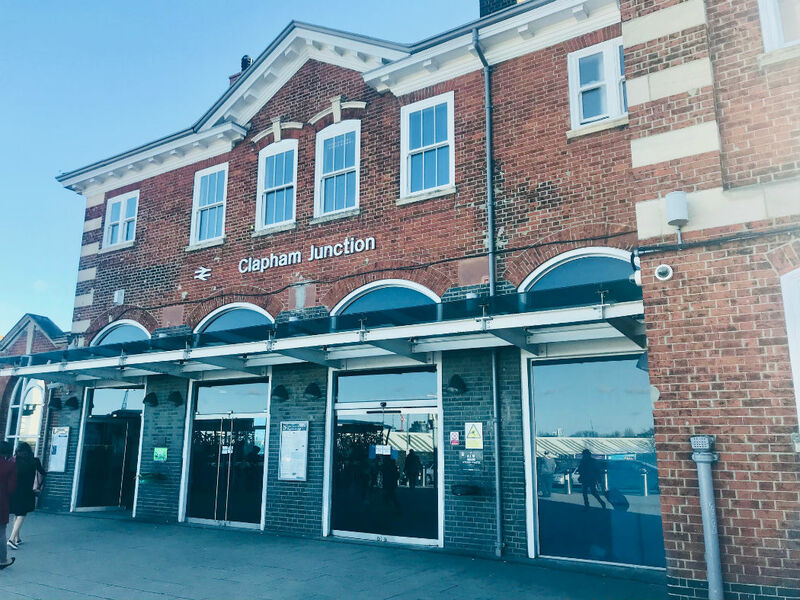 Clapham Junction is the busiest train station in all of Europe based on the number of trains that use it! And the busiest in the UK based on interchanges between services! However, in the past, it has been quite the wasteland when it has come to getting a decent coffee or a meal. Thank goodness this has now changed! Good coffee is available within moments of the station and there are quite a few good meal options within the magic 10-minute walk of the station. There are many ways to get to Clapham Junction. If you are coming from the centre of London then Victoria or Waterloo is the most common. Buses from all over London go to Clapham Junction. Clapham Junction is also on the orange overground line. This is a confusing and busy station! There are 17 platforms in total and three different exits. 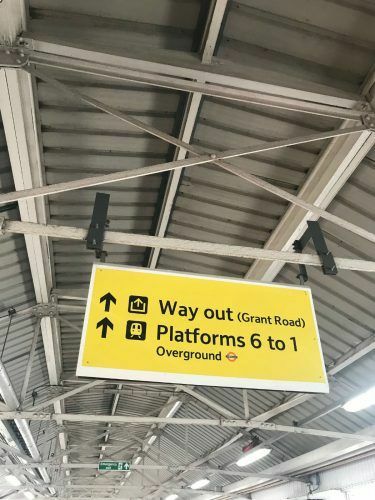 Avoid the exit closest to platforms 1 and 2 which goes on to Grant Road. This is quite the wasteland in terms of places to eat and drink. The other 2 exits are next to platform 17. 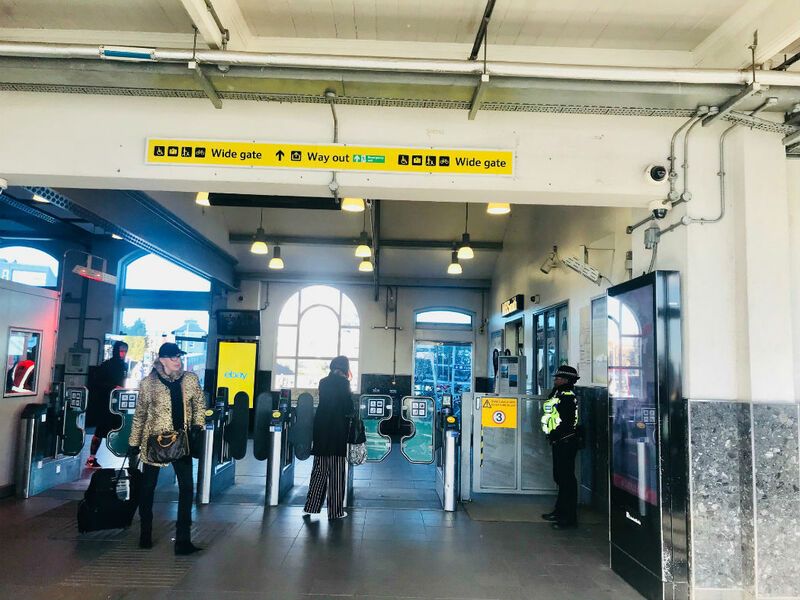 One of these is a step-free exit – you’ll know this as you will need to take a lift and go up from the platform (or up the stairs) to access it. This exit will take you out on to St Johns Hill towards Wandsworth. The second and busiest exit is when you head downstairs from the platform and exit just past Platform 17. This is the exit I will use as my base for directions in this post as it is the most common. When you exit on to St Johns Hill there are essentially 3 options for finding food. Head out and walk right up to St Johns Hill. Head out and walk left and up Lavender Hill. Or cross the road and walk up the pedestrianized St Johns Road. At the end of the pedestrian area, you can either continue straight and you will be on Northcote Road or head left or right onto Battersea Rise. 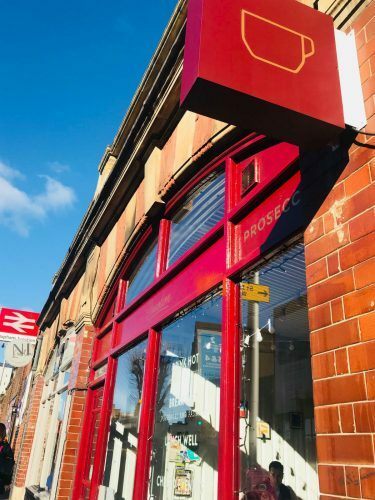 Whilst there are now good coffee options within a couple of minutes of the station I am afraid you will still have to walk for at least five minutes to access a good meal! 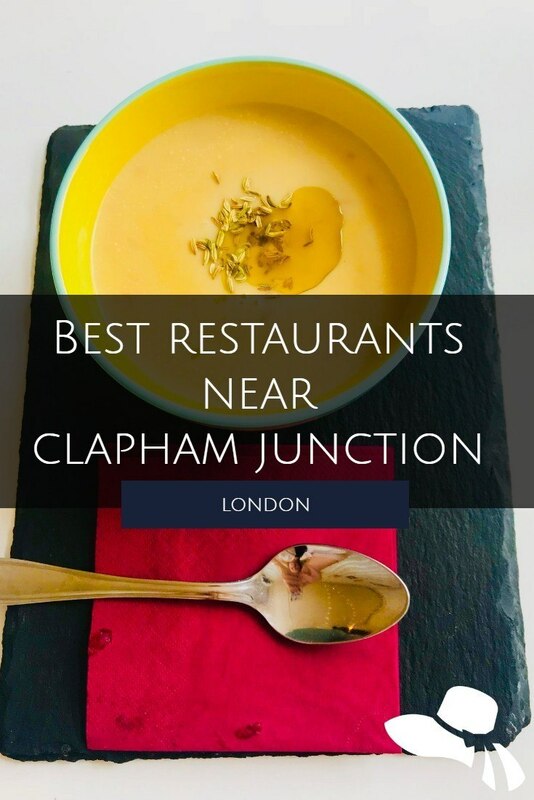 Soif has been setting the standard on food and wine on Battersea Rise since 2011. I have visited this fantastic restaurant many times and always had a great meal and interesting wines. 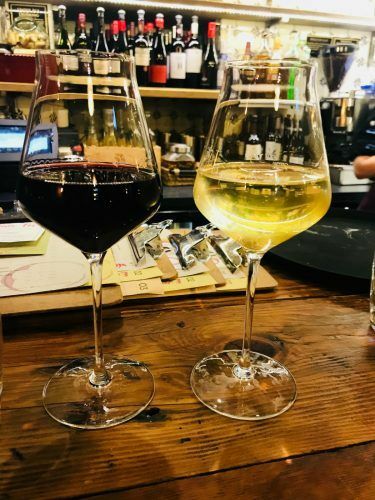 Soif is a wine bar, restaurant and even a wine store! The menu changes regularly and is very seasonal. Every time I go there are several things on the menu which are unfamiliar. This always ensures that I try something new and interesting – and the staff are super friendly and helpful. The same goes for the wines. Soif sources from small producers and tends towards the organic. They are terrific at allowing you to taste and I have discovered some fantastic little wines there. Monday nights they allow you to drink in for takeaway prices. Birdhouse is one of my personal favourites! This cute little cafe is jointly owned by a Cuban and an Australian – a great combination! The coffee is fabulous – which is almost a given with an Australian owner! The brunch menu is fantastic. I am a big fan of the baked eggs and there is also some great use of avocado and chorizo. The bakery treats are very high calibre! The toasted banana bread is a sensation and they also do Australia’s favourite, Anzac biscuits. At lunchtime, they have a range of Bocaditos, which are Cuban style sandwiches. The steak sandwich is amazing – I am sure there are other options but I have never been able to try them as I can’t go past the steak sandwich! If you’re a big foodie have a read of my post on the Best London Food Tours. I think Banana Tree is Indonesian. It is a bit of a mix of Asian cuisines. Anyway, Banana Tree has been a super popular local restaurant for ages. Friday and Saturday nights usually mean queues. 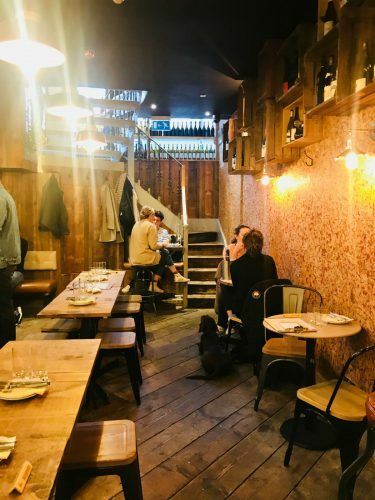 They have a mix of shared and private tables and a full vegetarian menu. Banana Tree runs a great value lunch deal and then is an a la carte dinner menu. 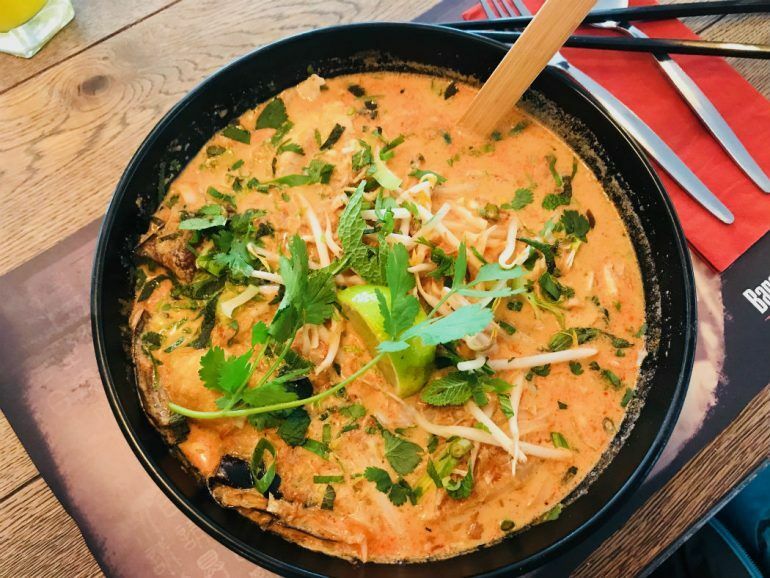 They are deservedly famous for their Chicken Laksa – it is amazing!!!! Plus a range of interesting and tasty sounding starters and mains. It is a bit of a posh Wagamamas but I do highly rate it! I love this place! It is over two levels and super cute and cosy. There is an extensive wine list – of course! – and very knowledgeable staff. There are loads of wines by the glass – 9 each red and white as well as sparkling and pink options. They have an interesting brunch menu – a bit of lunch meets brunch! There is a steak sandwich and there are some salads – all of which can be breakfast adjusted with eggs etc. The dinner menu is great. There are loads of small sharing plates which are perfect if you want to wine and snack. There are also a range of mains including several well hung meat options! I recommend booking a table here – I went on a Friday night quite early and there was only space at the bar. Another Battersea Rise classic! 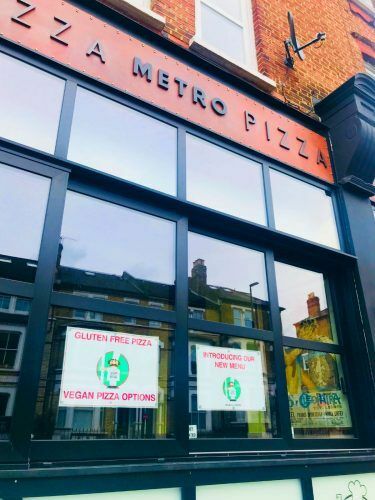 Pizza Metro Pizza doesn’t look like much from the outside – and obviously, it is not the foodiest of names! Best of all it is always full of Italians which is the best possible sign of good pizza. The key item on the menu is the metre long pizza. It is possible to fill that metre with a number of different toppings – or of course to go smaller. My absolute favourite is the ricotta and aubergine. The dough is so light and fluffy and tasty – it is brilliant. There are also loads of delicious antipasti options as well as salads and mains. But really it is all about the most delicious pizza you can imagine!!! The food at Kaorsan is fantastic!!!! Most dishes are on the hot side but gosh they are good. And very uniquely in London it is a byo restaurant eg bring your own wine. So it is a very cheap night out. Unfortunately, all of this comes with a couple of downsides. It can be tough to get in is downside one. The bigger downside is this is a fast meal. Do not come here if you are looking for a leisurely evening. However, do come here for a fast, amazing, great value thai clapham junction meal. My advice would be to book and enjoy Kaorsan and then relax with a couple of drinks at the Powder Keg across the road. 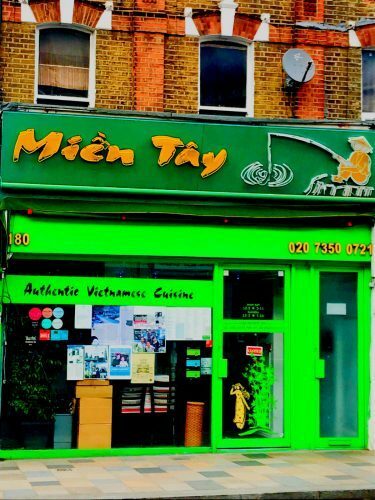 This is one of four Mien Tay’s in London. This family-run business specialises in the cuisine of Southern Vietnam and each restaurant is run by a different family member. Its specialities are prawn rice paper rolls (my favourite – tasty and oh so healthy! )), the chicken clay pot curry and their pho – especially the beef. Again, this is not a restaurant for a long lingering night. It is not quite operating at the speed of Kaorsan but it is not a full evening. I would suggest walking up Elspeth Road to the Humble Grape or Soif on Battersea Rise once you’re finished for a nightcap. Tokiya is a small Japanese restaurant with particularly good sashimi that has been stood the test of time – it has been in the area since 2000. It is run by a Japanese couple, one of whom was trained as a sushi chef in Japan. Tokiya consistently serves fantastic Japanese food and it is amazingly good value for money. I am also a big fan of the deep fried aubergine with miso – don’t miss it! 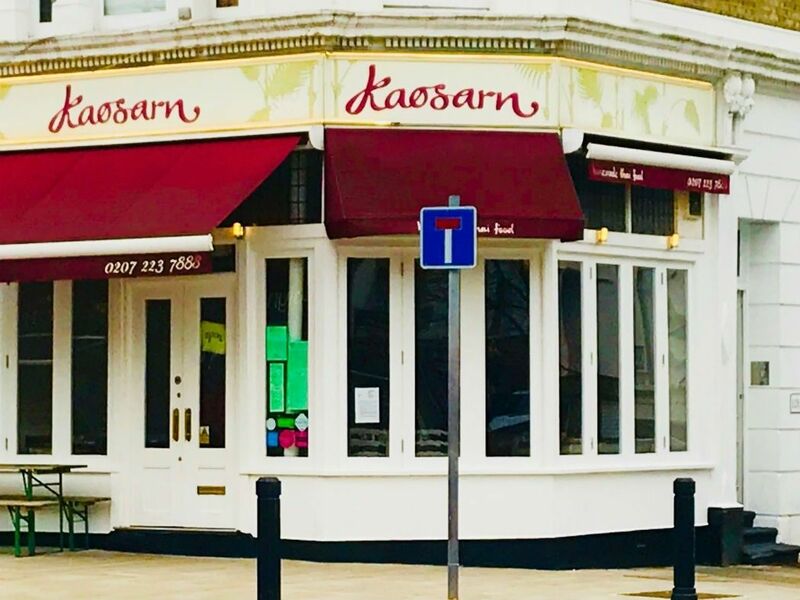 This is another restaurant near Clapham junction that doesn’t suit a long lingering dinner. However, the food is fantastic and there are many nearby places for pre and post-dinner drinks. 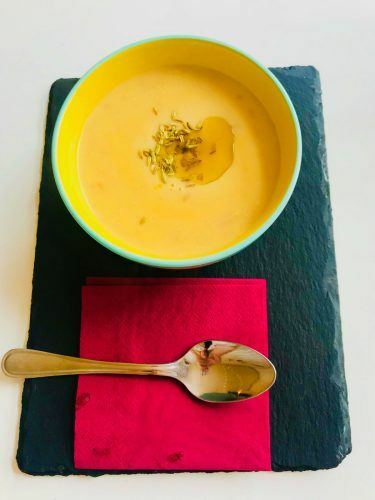 The team behind Social Pantry do a bit of everything from catering to private functions to having a great cafe on Lavender Hill. The cafe has a lovely relaxed atmosphere and is very encouraging of people just hanging out and drinking coffee and working on their laptop. They have a fantastic breakfast menu. There are quite a few light options if you are feeling healthy and then some more decadent options. From marscapone mushrooms to beetroot and sweet potato fritters to a ginger pig bacon sandwich! Lunch changes most days. It tends to be a mix of protein options and delightful salad options. There are also sandwiches, soup, tarts and delicious pastry treats on offer. Oh, and some great coffee!!! Ok, so this may be confusing. 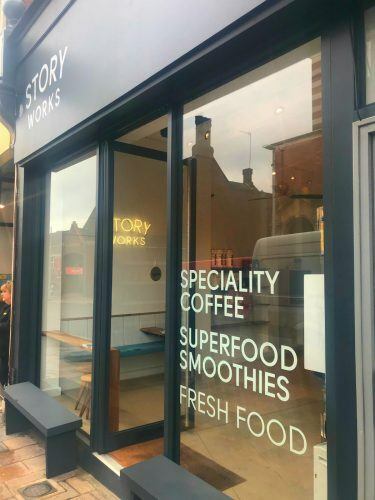 There are two sellers of Story coffee within a few minutes of Clapham Junction station. 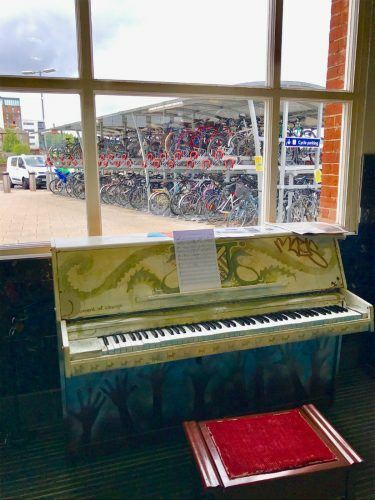 Story cafe is a 5 minute walk away – turn right out of the station. It is a lovely bright cafe with fantastic coffee and a good brunch menu. Recently a Story Works opened almost opposite the main entrance/exit to the station. I think the two are associated – same fonts and name! And same great coffee. At the moment the cafe is only serving up coffee and juices but I am sure they will be adding some food. This is now the best coffee you can get s1uper close to Clapham Junction. And I must also mention Devotion which is a cute cafe with a decent coffee that has opened only a couple of doors up from the station exit. If you’re after something a bit different have you ever tried a London wine? 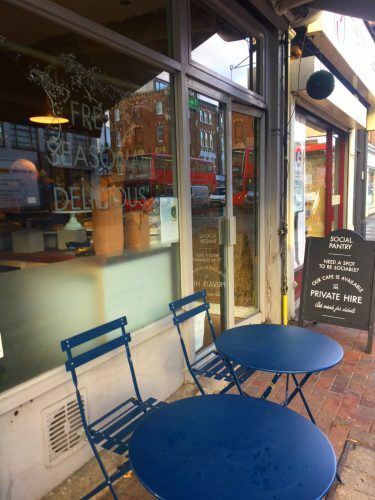 The brilliant local website Eat Wandsworth features some great options and offers from local suppliers. One of these is Chateau Tooting. This wine is actually with grapes from gardens in Tooting and Wandsworth – and it sells out fast! 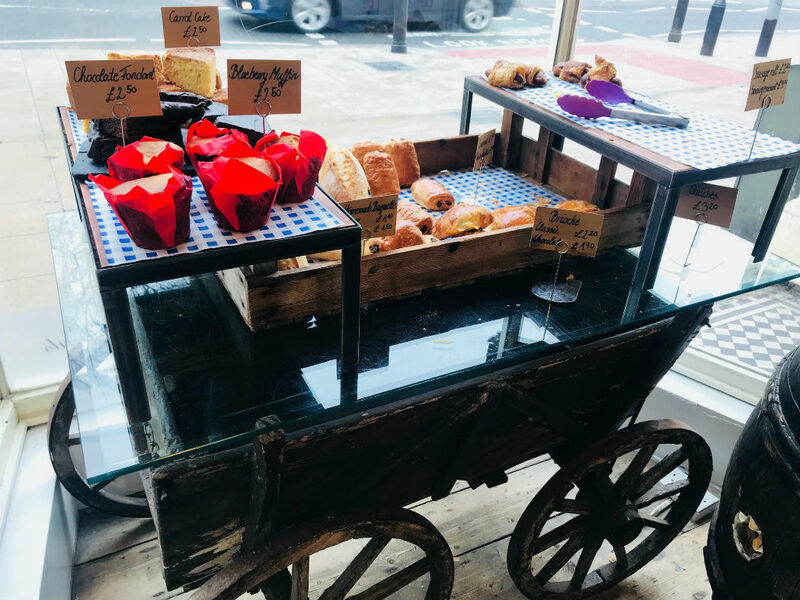 Check the site and then you can often pick your Chateau Tooting up at The Jolly Gardener – the perfect excuse to try it out! For everything you need to know as a local resident in Wandsworth click here for the local council site. 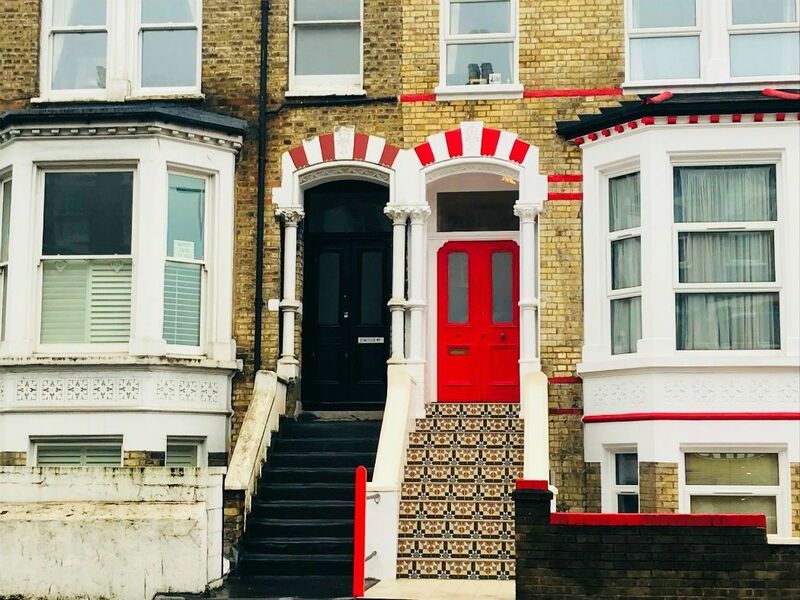 Want to keep up to date with what is going on in Earlsfield and Tooting? Follow the Tooting Daily Press. This post contains a few links to sites that will give me a small commission if you end up making a purchase on them. Just wanted to make sure you knew.